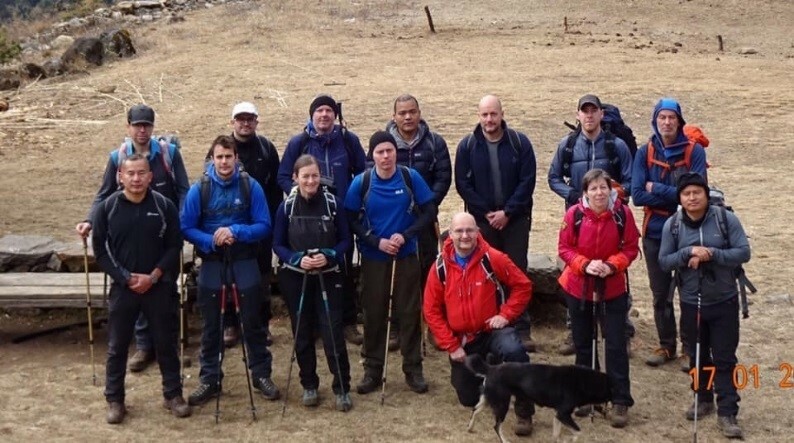 Ex DRAGON KANCHENJUNGA provided members of 37 Sig Regt with the chance to complete one of the most difficult and long trek in Nepal. 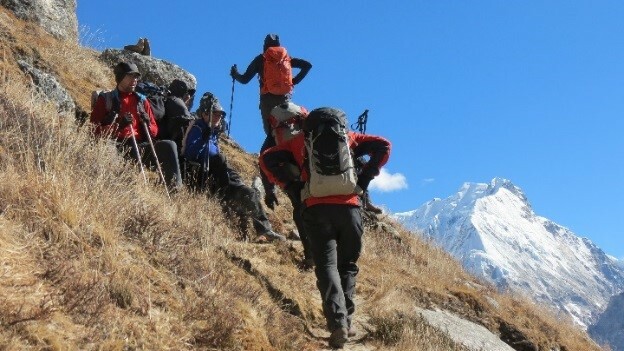 It allowed them to test their determination, team work, leadership skills and mental and physical robustness while trekking in the high mountains of Eastern Nepal to Kanchenjunga Base Camp, the 3rd highest mountain in the world. All personnel who attended fully enjoyed the experience. 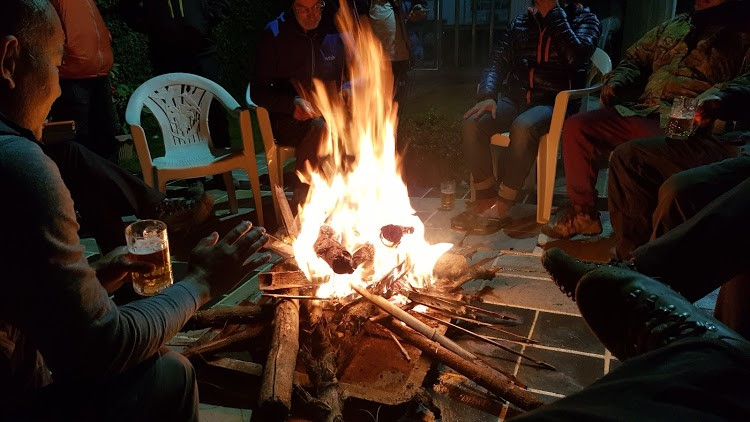 Below is a daily diary of the expedition (09 – 30 Jan 19). 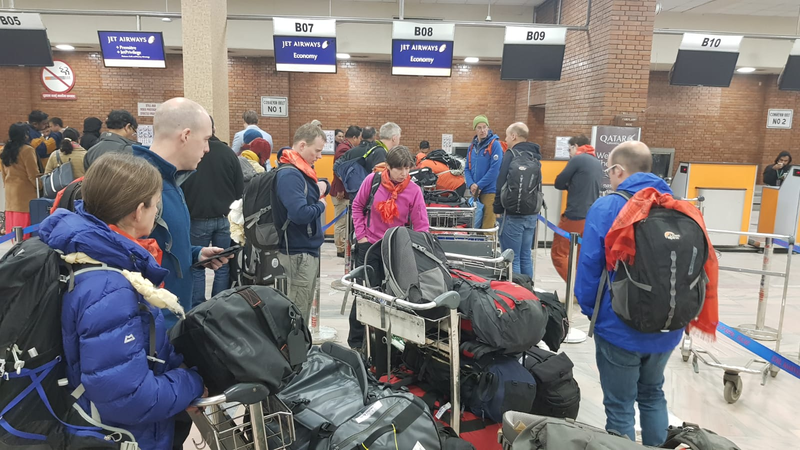 Day 1 , Wed 9 Jan 19 (Redditch – London Heathrow). 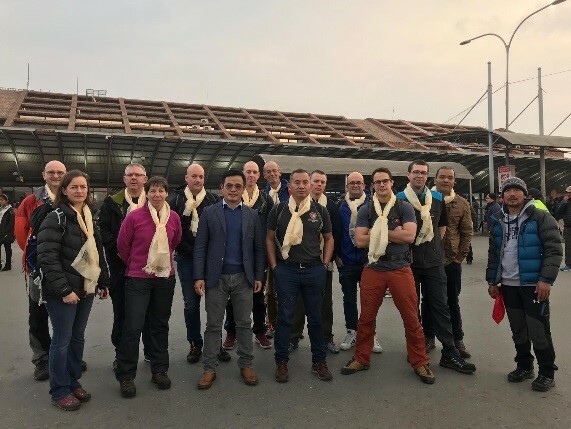 Exped members deploying on Ex DK 19 departed from Kohima House at 1330 hrs for London Heathrow (LHR) Terminal 4 to check-in. Flight ETD was 2040 hrs. 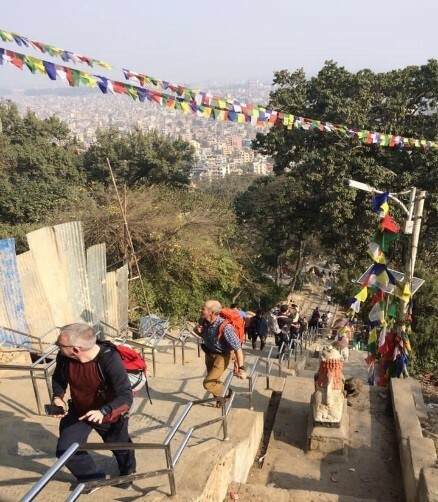 Day 2 Thu, 10 Jan 19 (London – Kathmandu). 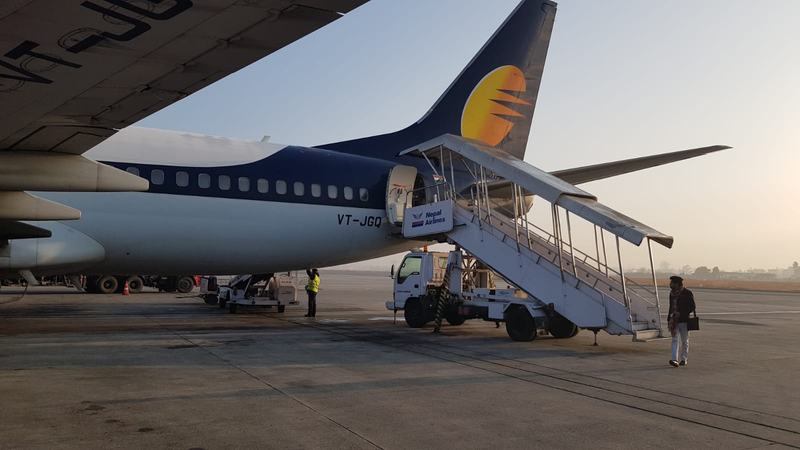 After fourteen hours of flight and transiting in Delhi, the group safely landed at Tribhuwan International Airport (TIA), Kathmandu at 1425 hrs (local). 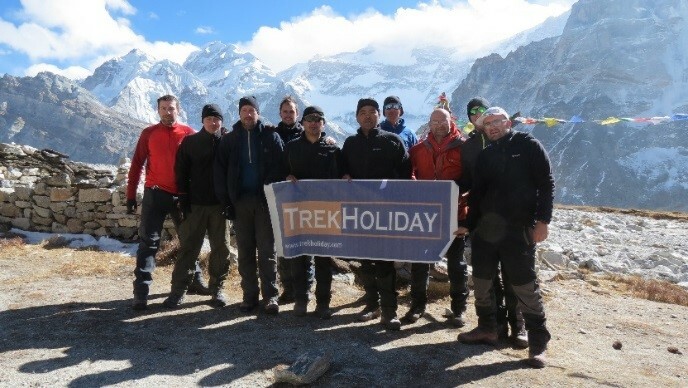 The group was warmly welcomed by the manager of the Trek Holidays Company (Suresh Limbu) who then transferred the exped members to BGN camp in Kathmandu. 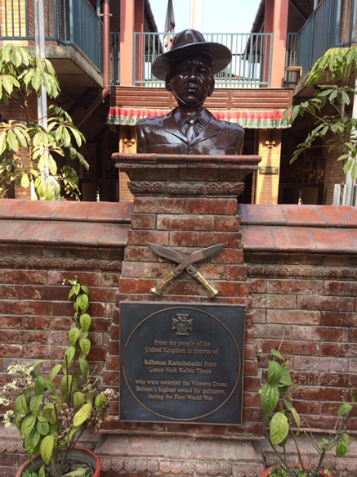 Day 3 Fri, 11 Jan 19 (Kathmandu Cultural Visit). After having breakfast in BGN camp, the team boarded a bus and headed towards Lalitpur Durbar Square at 0800 hrs. 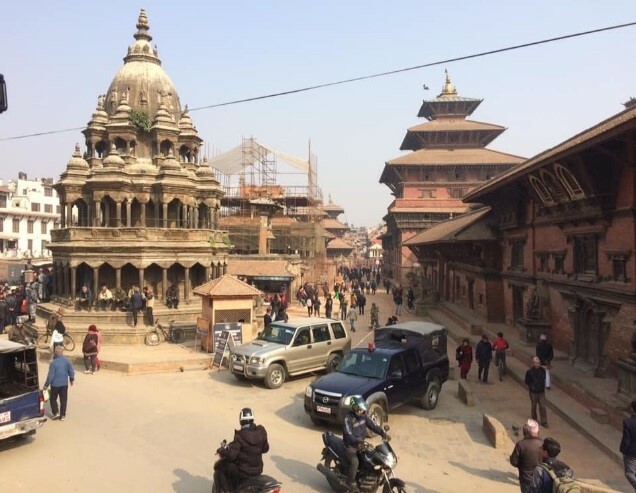 It was a magnificent and fascinating world heritage site where we could see the extensive renovation being carried out after the devastating earthquake in 2015. 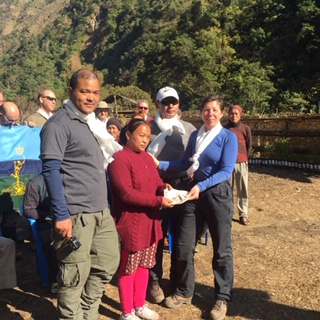 The exped members were given the opportunity to exchange money and buy souvenirs. Afterwards, the company bus took us to Syambhu temple also known as monkey temple. After spending an hour at the temple, we headed towards Boudha Stupa, another world heritage site, a popular destination for Buddhist monks and its’ followers. 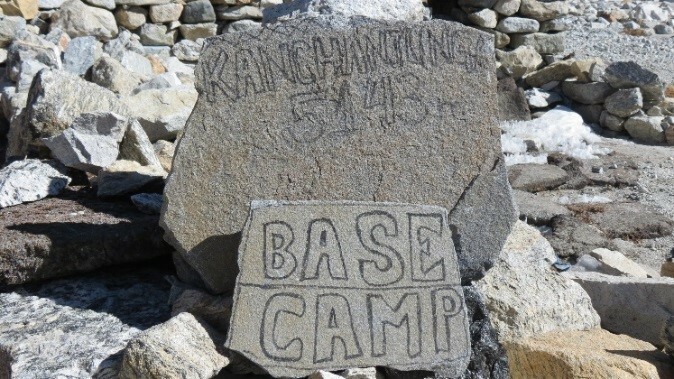 Day 4 Sat, 12 Nov 19 (Kathmandu to Taplejung). After having a breakfast at BGN, the company bus took us to TIA for an internal flight to Biratnagar. 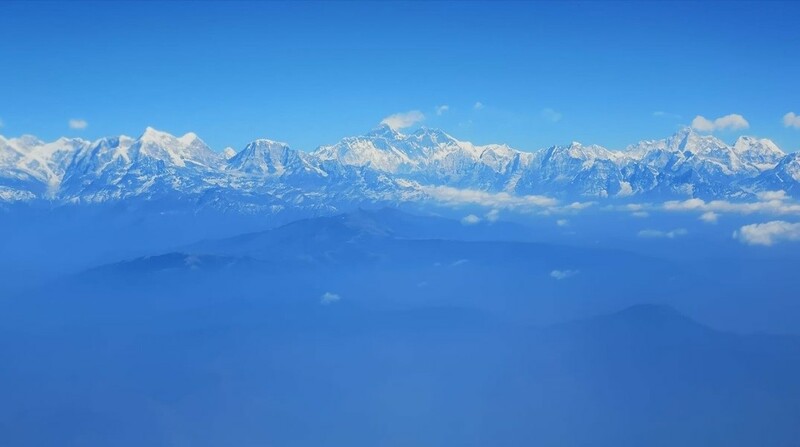 The exped members’ sitting was arranged on the left-hand aisle of the plane so that they could glimpse the beautiful Himalayan range. The flight time of 35 minutes was well spent observing and clicking the beautiful mountain range including Mt. Everest. After having a lunch break at Itahari, the team continued journey towards Tapljung through the beautiful Ilam tea state. It took 9 hours to complete the journey between Biratnagar and Taplujung. The Mewa Khola hotel where stayed at Tapljung was very comfortable and they served one of the best English breakfast in Nepal. The WIFI and mobile data connection in Taplujung was good enough for social media update. 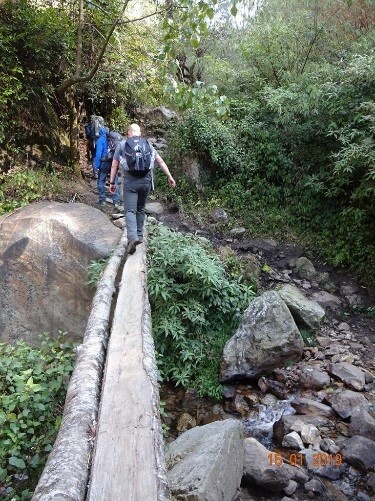 Day 5 Sun, 13 Jan 19 (Taplejung to Chiruwa). 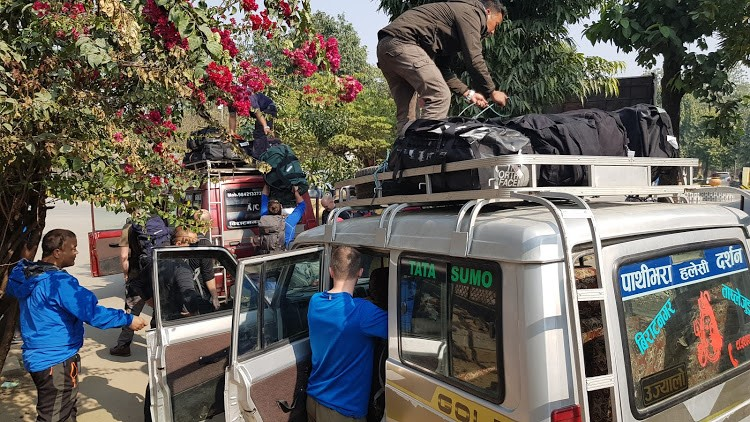 Early in the morning, we met the porters and guides before they started loading our luggage into the 4×4 rovers. The rovers weren’t big enough to sit comfortably which was further compounded by the fact the next 5 hours of journey was a difficult drive on a rough and dirt track. As expected, some of the exped members started vomiting as the roads were too bendy and rough. The rovers led us through beautiful villages and never-ending green cardamom plants. These plants are the cash-cow of the locals and fetch a good price. The rovers stopped short of 1 hr walk before Chiruwa where we stayed overnight. The guest house was comfortable and the hospitality from the owner and the locals was pleasant. We took a short evening walk to the river before the dinner. Day 6 Mon, 14 Jan 19 (Chiruwa to Sekathum). It was the start of the full day trekking where we walked along the bank of Tamor river. 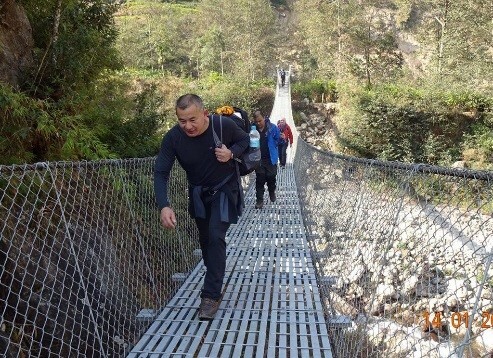 Mr. Pasang, the guide who hails from Tapljung explained about the local community and flora-faunas throughout the day. It was a sunny day and the temperature was mild enough to walk on short sleeves. There were plenty of gigantic stones everywhere and all of them had an interesting story attached to it. The locals were amazed to see us as they hadn’t seen tourists for months. We were the only outsiders enjoying the serene beauty of the Tamor river’s surroundings. We took a lunch break at a tea house; the menu was limited but the food was delicious. Day 7 Tue, 15 Jan 19 (Sekathum to Amjaliso). The owner of the tea house at Sekathum came to greet us at the bridge of the Tamor river as he was concerned about the safety of our team. 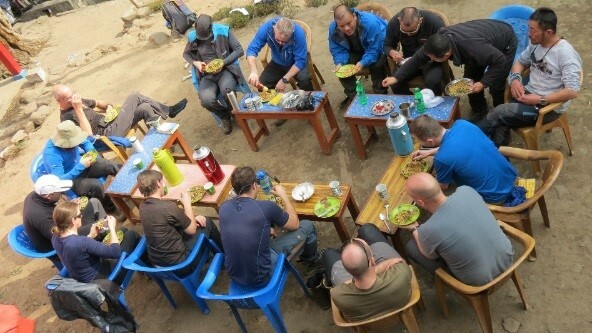 The food, accommodation and hospitality received at Sekathum was one of the best we saw in the Kanchenjunga region. Since we wanted to donate some money to a local school, the tea house owner scheduled a visit programme to a local school and mother’s group to take place on our return leg. We started following the Ghunsa river from Sekathum which runs all the way up to Kanchenjunga Base Camp through Ghunsa village. The view was quite poor as we were walking though the gorge of Ghunsa river overshadowed by two mountains. Nevertheless, it was a pleasant walk through a green vegetation of Cardamom fields. Before reaching the next overnight stop at Amjaliso, the track was steep uphill for 1.5 hours. We met a young man at Amjaliso with Master’s Degree in economics who had decided to come back to the village to pursue a career of Yak herdere. We were fascinated to hear his success story. The tea house we stayed was going through a renovation and expansion but it was a comfortable sleep. 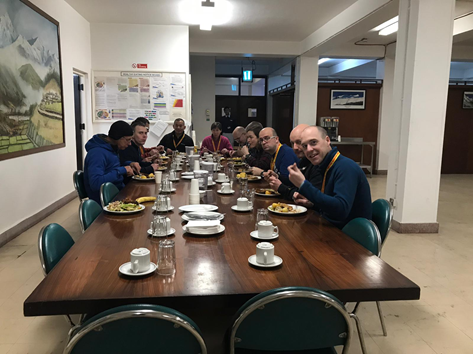 Most of the exped members opted for Nepalese Daal Bhat as the choices were limited; hey served dry Yak meat with Daal Bhat. 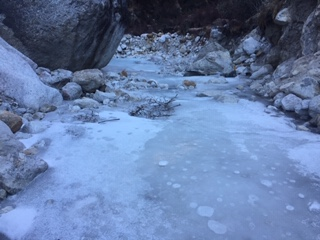 Day 9 Thu, 17 Jan 19 (Gyabla to Ghunsa). For the first time, we started seeing mules and Yaks carrying loads. We stopped at Phale for lunch and took the opportunity visit local monastery. The locals at Phale were mostly Tibetan refugees and they would still send their Kids to Dharmsala in India for education. 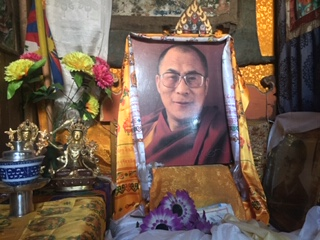 It was evident through the flags, manes (a revolving object with Buddhist mantra om mane peme hu) and the costumes that this region is dominated by Buddhists. 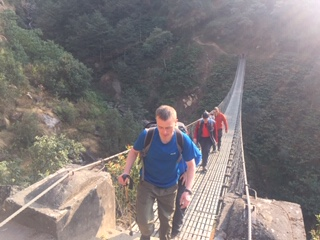 We crossed so many suspension and wooden bridges before reaching the Ghunsa village. 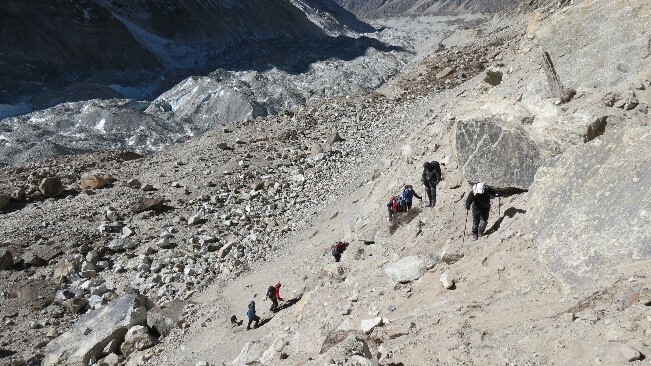 Day 10 Fri, 18 Jan 19 (Acclimatisation day at Ghunsa). 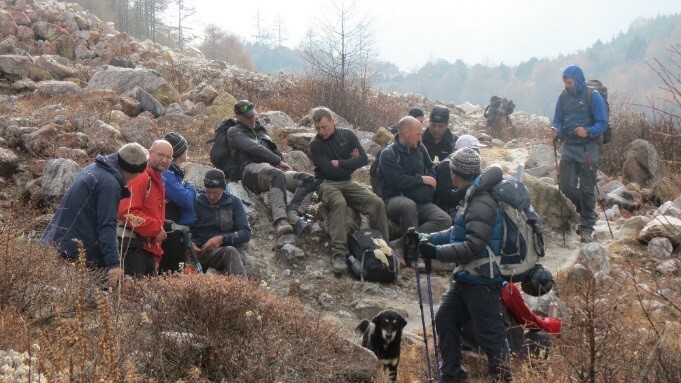 We stopped at Ghunsa for acclimatisation where we ascended 400m before returning to Ghunsa. Most of the locals had fled to Kathmandu to stay away from the extreme cold temperature. The temperature reached -15 degrees during the night and Kale struggle to sleep. The tea house owners were a young couple with two kids and they were extremely welcoming looking after us for 2 nights. 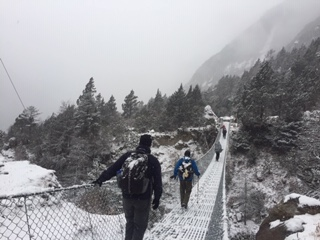 Day 11 Sat, 19 Jan 19 (Ghunsa to Kambachen). The track leading to Kambachen wasn’t too steep, but we started getting symptoms of altitude sickness such as poor appetite and shortness of breathing. 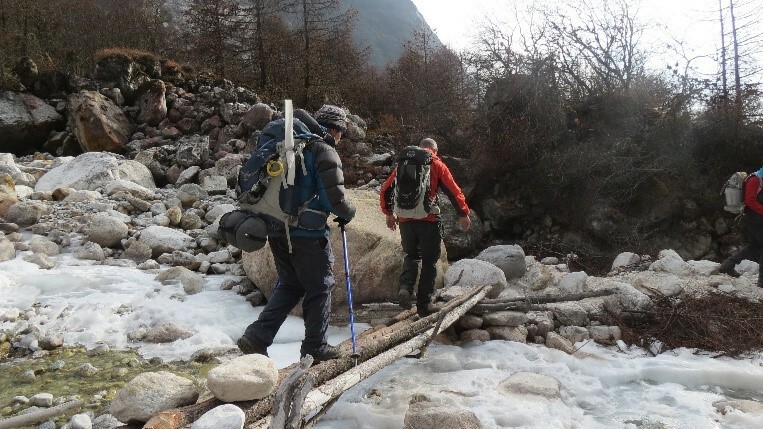 The team had to cross few slippery landslides and dangerous wooden bridges. The treeline started disappearing as we climbed up. 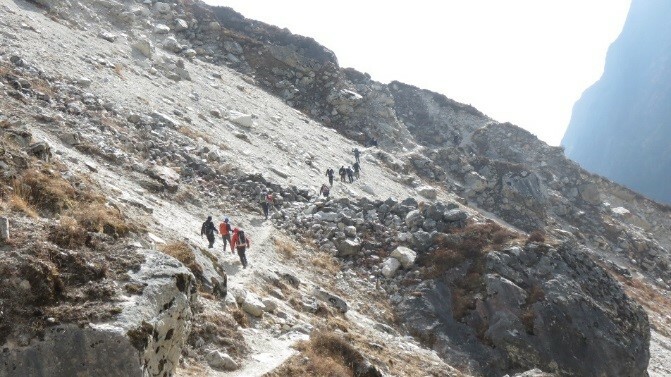 The team members felt fatigued and took longer to reach Kambachen. Kambachen tea house provided us with a very comfortable and warm stay. They had proper heating chimney running from Yak dung as they didn’t have trees around for fire. The food was of top quality as the owner was a qualified chef. He scored 10/10 on food, accommodation and hospitality. 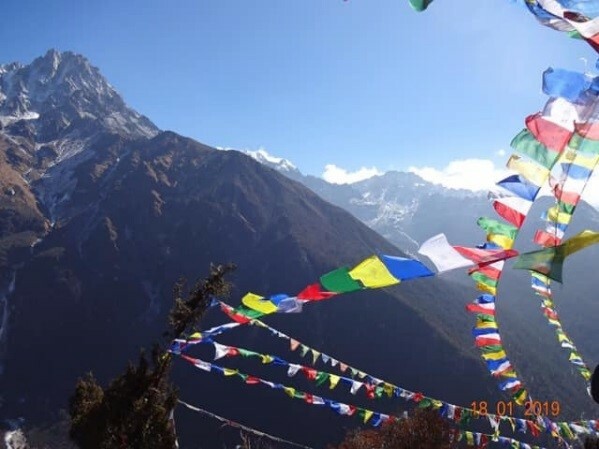 Day 12 Sun, 20 Jan 19 (Kambachen to Lhonak). 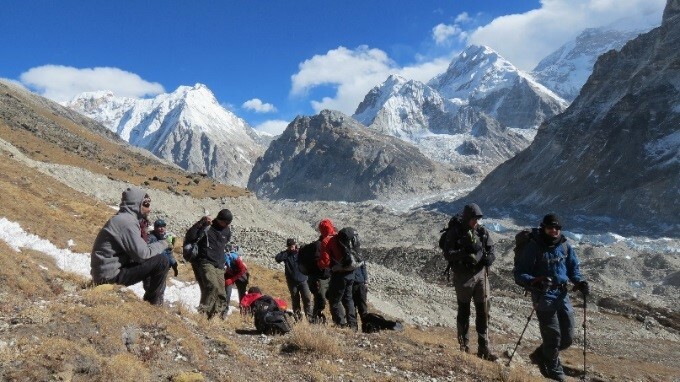 It was by far the most difficult day for the team members due to altitude and fatigue. We all agreed that a day of rest at Kambachen would have been ideal. The snowy mountains started showing up from all directions as we walked through a dry land and dangerous running landslides. 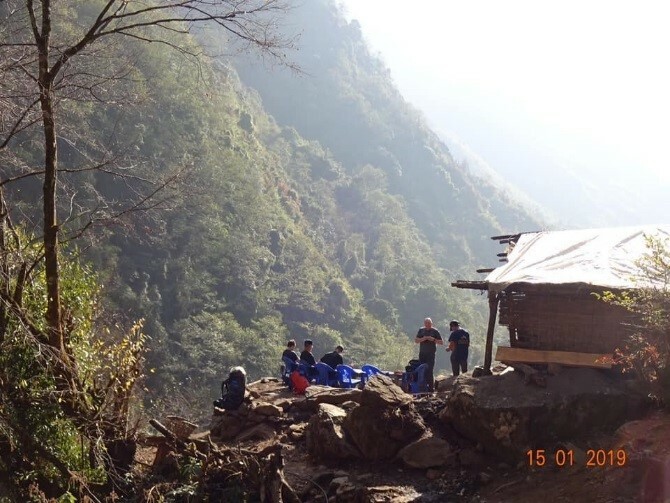 One of the team member had to return to Lhonak with Cpl Prem as the altitude sickness symptoms stopped her from progressing further. The tea house at Lhonak. 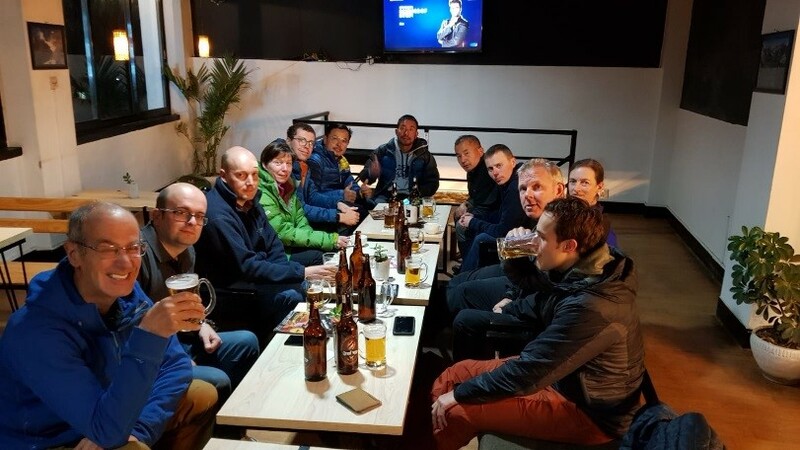 Day 13 Mon, 21 Jan 19 (Summit day Lhonak to KBC and back to Lhonak). 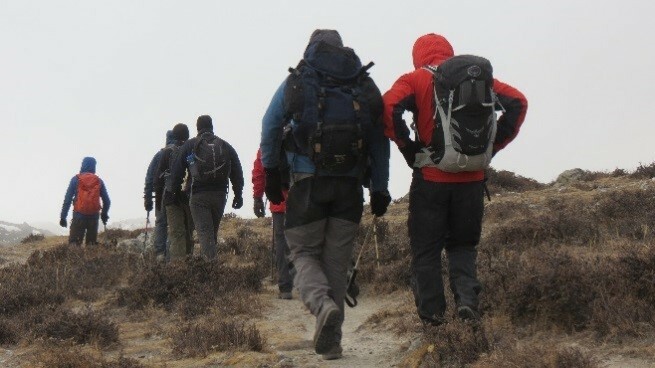 The trek started at 0800 hrs on this day. The route was relatively flat except for landslides. 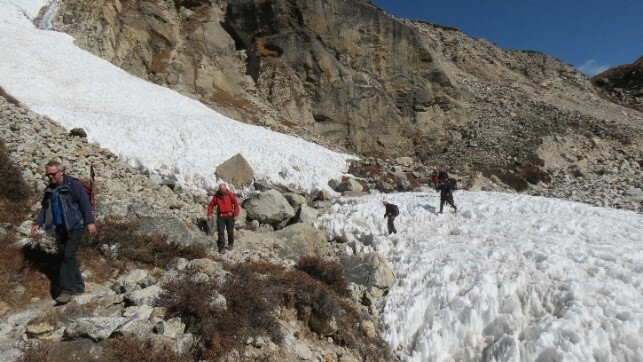 Due to the ever-depleting ice glacier, the path is constantly shifting making it extremely dangerous to cross at some places. 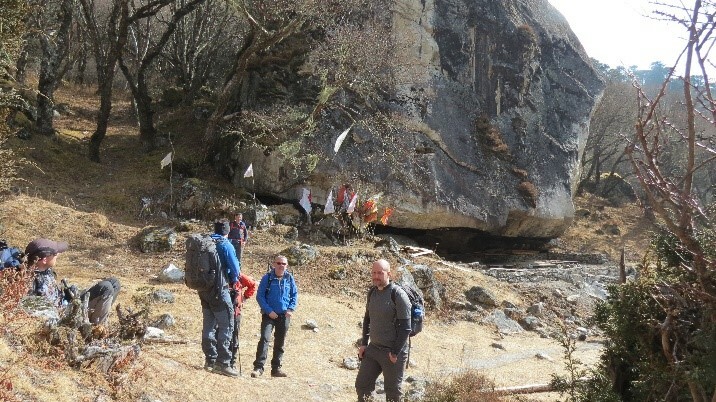 Despite all the team members had mild headache, they managed to reach KBA at midday and return to Lhonak successfully. 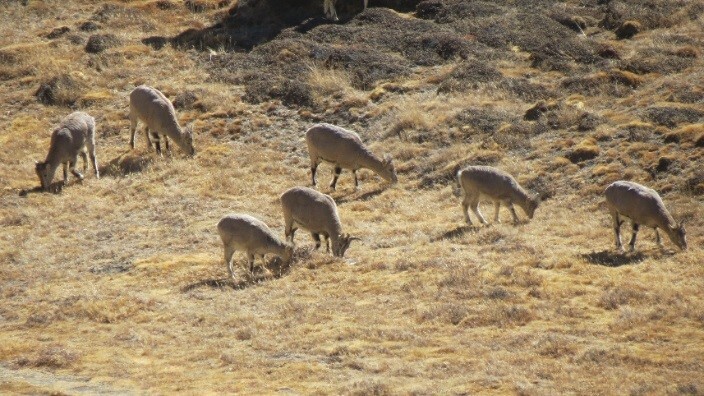 The team members were glad to see the herd of Himalayan Blue Sheep, but they were chased away by Kale. 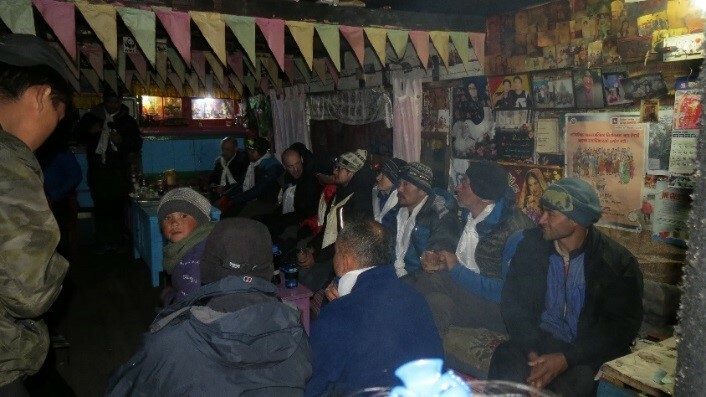 The tea house at Kambachen and Lhonak was only opened on our request as they normally shut down during the off season hence the accommodation at Lhonak was lacking the necessary care. They didn’t have running water and had to filter the muddy water acquired from the nearest reservoir. Day 14 Tue, 22 Jan 19 (Lhonak to Ghunsa). The morale was high as the team members were heading back to Ghunsa after successful summit of the KBC. The team stopped at Kambachen for lunch break before heading towards Ghunsa village. 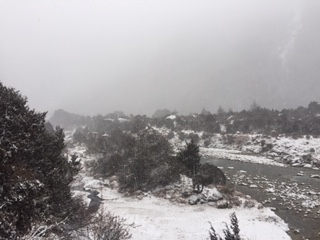 It started snowing at Ghunsa and continued to snow overnight and the next day. The mules and the Yaks were stopped due to the slippery path. 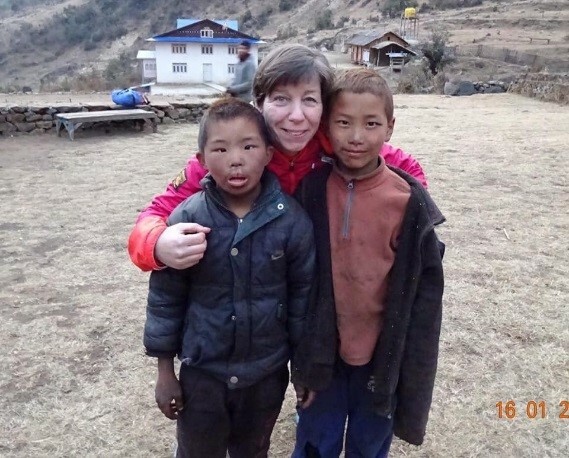 We met two members of the expedition who had to be returned from Kambachen. 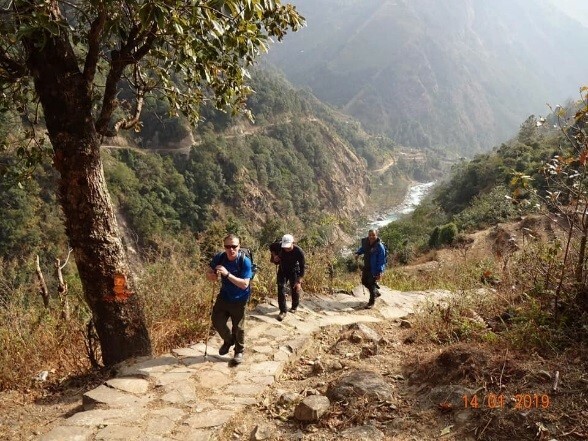 Day 15 Wed, 23 Jan 19 (Ghunsa to Amjilosha). 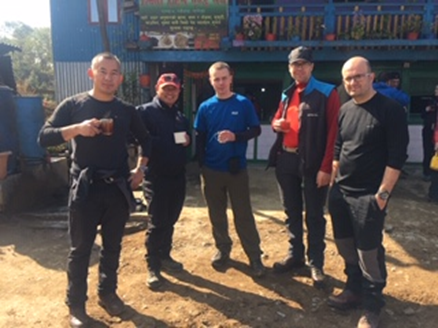 The team took early breakfast in the morning before heading downhill towards Gyabla for lunch break. It snowed until we reached Gyabla; then onwards the snow turned into rain. By the time the team reached Amjaliso, it was relatively dark but didn’t have to use torches. The tea house had been completely renovated and the lady welcomed back us with nicely prepared fresh food. 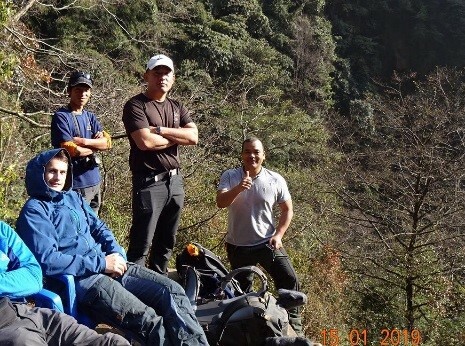 Day 16 Wed, 23 Jan 19 (Amjilosha toTaplejung). The team took breakfast early in the morning before heading downhill towards Gyabla for lunch break. By the time the team reached Amjaliso, it was relatively dark but didn’t have to use torches. Kale didn’t follow us thus decided at stay at Amjaliso. The team stooped at Sekathum for lunch break. The teachers and school committee members who had been invited for the donation programme offered us Khada. The team donated Rs52000 to the school chairman and Rs10000 to the mother’s group for the good and benefit of the local community. 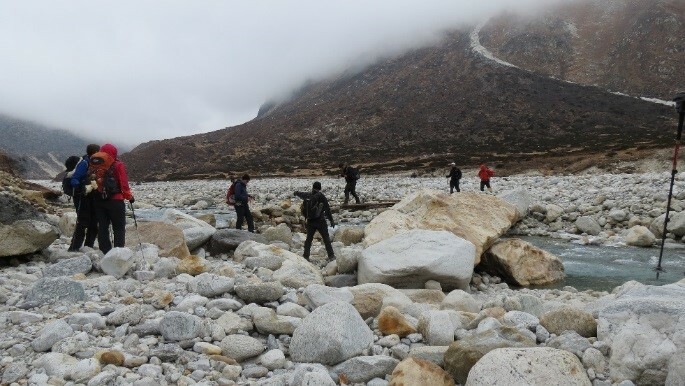 The team walked 1 hr before reaching two 4×4 rovers ready for onward journey towards Taplujung. It took another 5 hours of rough journey through the dirt track before reaching the MEWA KHOLA hotel at Taplejung. 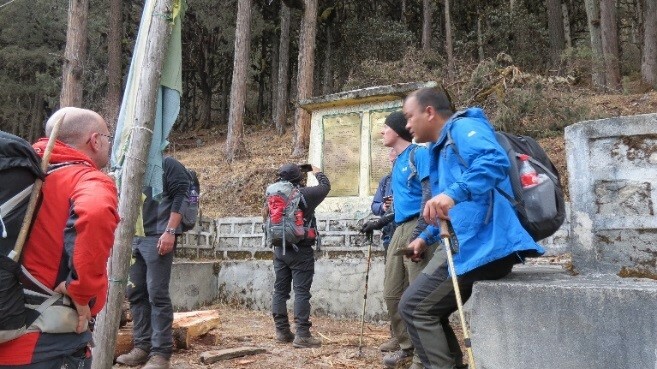 Day 17 Thu, 24 Jan 19 (Taplejung to Itahari ). 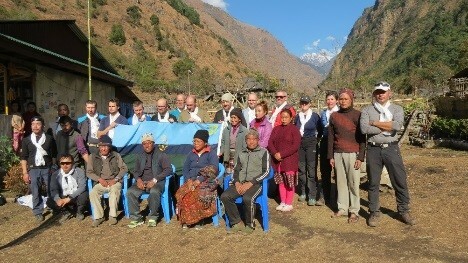 We had a very short farewell programme organised to say thank you to the porters and the guides. 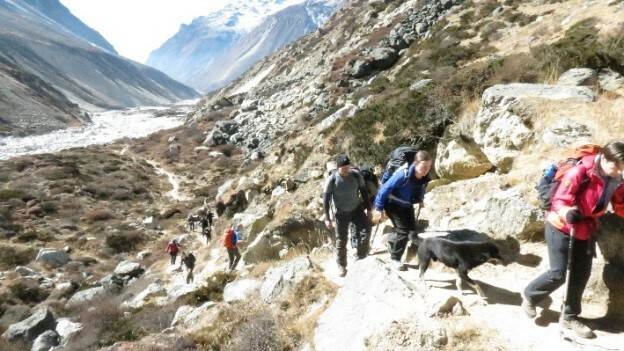 They were paid their wages by the trekking company and bonus by the exped leader. 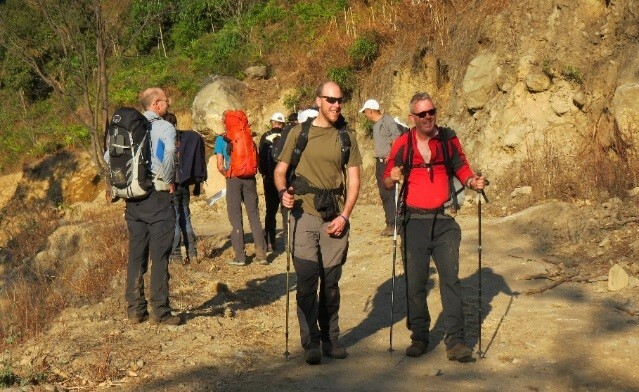 Following a short speech from the exped leader and lead porter, wer departed toward Itahari. It took us 9 hours to reach Itahari. After days of limited food choices, the team members were served the food of their choices. Day 18 Fri, 25 Jan 19 (Itahari to Kathmandu). The minibus was waiting for us to commence further road journey to Kathmandu. The minibus was comfortable than the 4x4s and the road was mostly highway and black topped. The journey began at 0800 hrs and got to Kathmandu at around 1900 hrs. 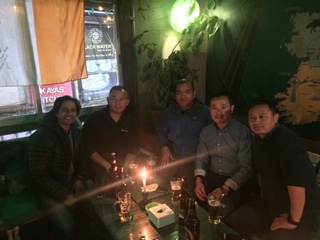 The owner of Trek Holidays, Mr Suresh Limbu greeted at us at his B&B where the BBQ and drinks were already prepared for us. 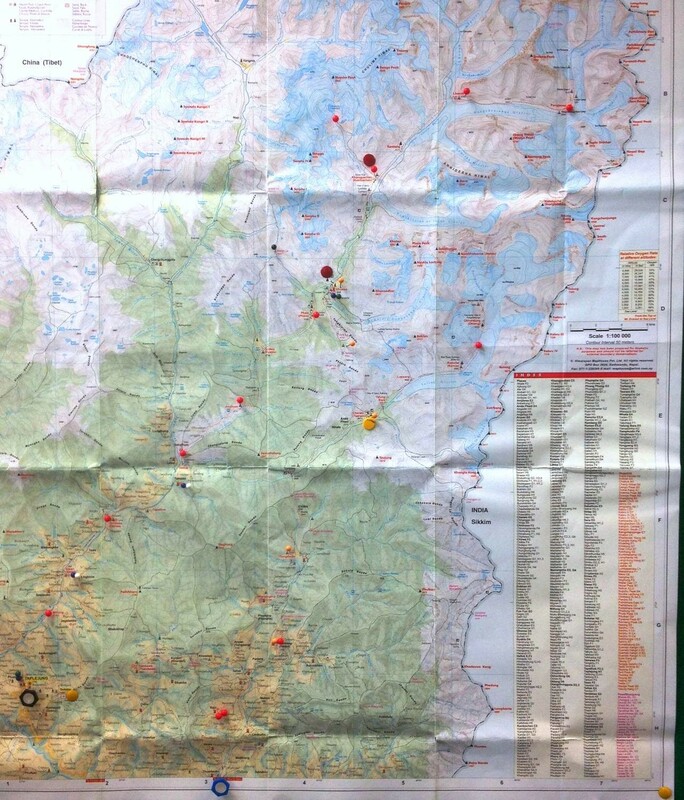 The team discussed the achievement of the expedition and filled out cooments/reviews for the trekking company. Day (19 – 21) Sat. 27 – 29 Jan 19 (Kathmadnu). 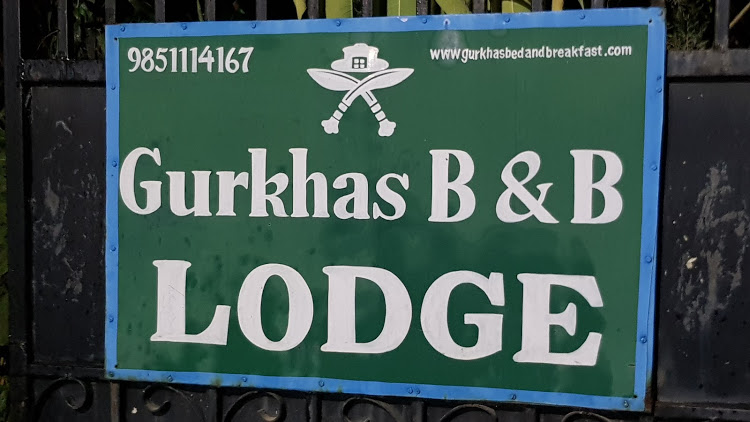 After the breakfast at B&B, the trekking company’s van dropped the members to BGN compound where the team members checked into their accommodation. 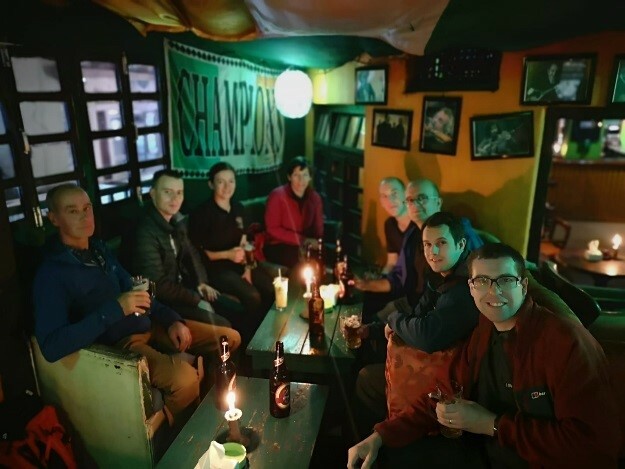 The team spent another day Ex turn around and two days visiting the sites within Kathmandu valley in a group. They also settled the food and mess bills on 28th Jan 19. Day 22 Mon, 29 Jan 19 (Kathmandu to Heathrow). BGN Chefs were requested to provide an early breakfast at 0500hrs. The team members were then taken to TIA for check-ins. 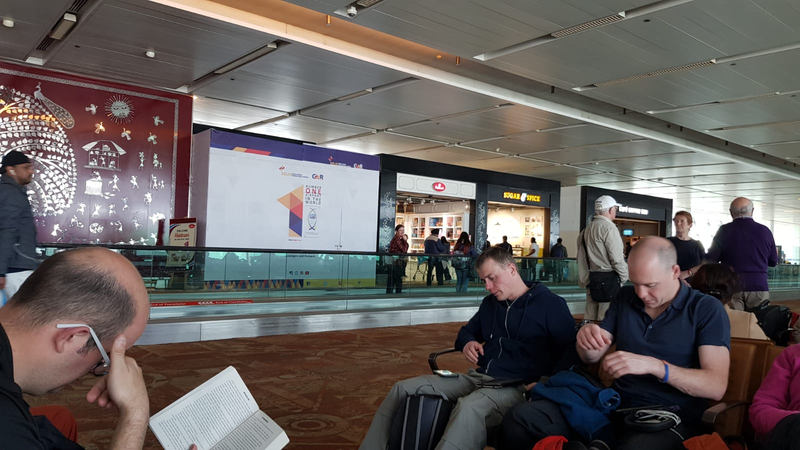 The team transited at Delhi before heading back to London Heathrow airport. The team members landed at LHR at 1730hrs on 30 Jan 19 where they met a Minibus and combi van waiting for a journey to Redditch.